To be able to display anything on a HoloLens we need three things: a HoloCamera, a HoloSpace, and a HoloRenderer. A HoloCamera represents the HoloLens and where it is looking at. Returns an array of the HoloCamera's children. Represent the HoloCamera's local position. Represent the HoloCamera's local rotation (in radians). Represent the HoloCamera's local scale. Add a child object to the HoloCamera. Searches through the HoloCamera's children and returns the object with a matching id. Searches through the HoloCamera's children and returns the object with a matching name. Returns a vector representing the position of the HoloCamera in the world space. Returns a vector representing the rotation of the HoloCamera in the world space. Returns a vector representing the direction of where the HoloCamera, i.e. : HoloLens user, is looking in the world space. Removes a child object from the HoloCamera. The HoloCursor is the a default HoloCamera child that is added by the system. A HoloCursor is a gaze indicator that provides continuous feedback for the HoloLens user about their intentions. The HoloCursor work by following the hololens's position and rotation in addition to casting a ray from the HoloLens into the HoloSpace object to show the user the center of their gaze and to indicate what hologram will respond to the user's input. The cursor will move with the user's head movement and it will lock in depth to whatever hologram or surface the user can is looking at. The cursor is torus shaped and it will provide a visual feedback per user hand state, for example, the cursor will change its shape base on the HoloLens detected the user's hand in the ready position and return to its normal shape when idle. You can use the HoloBuild.HoloCursor object To access the HoloCursor. A HoloSpace represents a holographic scene, and its main purpose is to act as a container for all the holograms that make up the scene. Returns an array of the HoloSpace's children. A unique HoloSpace numeric identifier (readonly). Represent the HoloSpace's local position. Represent the HoloSpace's local rotation (in radians). Represent the HoloSpace's local scale. if set to false the HoloSpace and all its content would not get rendered. Add a child object to the HoloSpace. Returns a clone of this HoloSpace. Searches through the HoloSpace's children and returns the object with a matching id. Searches through the HoloSpace's children and returns the object with a matching name. Returns a vector representing the position of the HoloSpace in the world space. Returns a vector representing the rotation of the HoloSpace in the world space. Returns a vector representing the scaling factors applied to the HoloSpace in the world space. Returns a vector representing the direction of HoloSpace's positive z-axis in the world space. Removes a child object from this HoloSpace. Convert the HoloSpace to JSON format. The HoloRenderer's main purpose is to render the content of the holographic scene into the HoloLens using WebGL. To render the holoscene onto the HoloLens, you will need to call the render function of the HoloRenderer and give it the scene and the hololens as inputs. The geometry is the shape that you want to draw, it contains all the polygons information that make up a hologram. In addition to creating your own geometry, there is a set of prebuilt geometries that you can use. This section will go over the pre-build geometries: such as a Box, or a Sphere. The HoloBoxGeometry is a geometry of a 3 dimensional box or a cube. To construct a HoloBoxGeomtry you need to provided the width, height, and box depth dimensions. A number representing the width of the box in meters. A number representing the height of the box in meters. A number representing the depth of the box in meters. The HoloCircleGeometry is a simple circle geometry made of several triangular segments. To construct a HoloCircleGeomtry you need to provided the radius dimension. A number representing the circle radius in meters. A number representing the number of triangular segments the circle will be made of. The HoloConeGeometry is a 3D cone geometry made of several triangular segments. To construct a HoloConeGeomtry you need to provided the cone radius and its height dimensions. A number representing the number of radial segments the cone will be made of. A number representing the number of height segments the cone will be made of. The HoloCylinderGeometry is a 3D cylinder geometry made of several triangular segments. To construct a HoloCylinderGeometry you need to provided the cylinder top radius, bottom radius, and its height dimensions. A number representing the cylinder top radius in meters. A number representing the number of bottom radius in meter. A number representing the height of the cylinder. A number representing the number of radial segments the cylinder will be made of. A number representing the number of height segments the cylinder will be made of. The HoloDodecahedronGeometry is a 3D dodecahedron geometry made of several triangular segments. To construct a HoloDodecahedronGeometry you need to provided the dodecahedron radius. A number representing the dodecahedron radius in meters. The HoloIcosahedronGeometry is a 3D Icosahedron geometry made of several triangular segments. To construct a HoloIcosahedronGeometry you need to provided the Icosahedron radius. A number representing the Icosahedron radius in meters. The HoloOctahedronGeometry is a 3D octahedron geometry made of several triangular segments. To construct a HoloOctahedronGeometry you need to provided the octahedron radius. A number representing the octahedron radius. The HoloPlaneGeometry is a 3D plane geometry made of several triangular segments. To construct a HoloPlaneGeometry you need to provided the plan width and height. A number representing the plane width in meters. A number representing the plane height in meters. The number of the plane horizontal segments (optional). The number of the plane vertical segments (optional). The HoloRingGeometry is a 3D ring geometry made of several triangular segments. To construct a HoloRingGeometry you need to provided the ring innerRadius and OuterRadius. A number representing the ring inner radius. A number representing the ring o uter radius. The number of the ring outer segments making it more or less round (optional). The number of the ring segments (optional). The HoloSphereGeometry is a geometry of a sphere . To construct a HoloSphereGeomtry you need to provided the sphere radius. A number representing the sphere radius in meters. The number of the sphere horizontal segments (optional). The number of the sphere vertical segments (optional). The HoloTetrahedronGeometry is a 3D tetrahedron geometry made of several triangular segments. To construct a HoloTetrahedronGeometry you need to provided the tetrahedron radius. A number representing the tetrahedron radius. The HoloTorusGeometry is a 3D tetrahedron geometry made of several triangular segments. To construct a HoloTorusGeometry you need to provided the tetrahedron radius, and tube radius. A number representing the torus radius. A number representing the tube radius. The number of the torus segments (optional). The number of the tubular segments (optional). A radian representing the central arc of the torus (optional). A material defines how the surface of a geometry is. It describes the geometry appearance such as its color or its texture (i.e. skin). There are several types of material that you can use such as the HoloMeshBasicMaterial, HoloMeshStandardMaterial, or the HoloMeshPhongMaterial. Each with its own properties and is applyies to a specific Hologram object. For example, a HoloMesh object can have a HoloMeshBasicMaterial, whereas a HoloLine object can have a HoloLineDashedMaterial. Note: the HoloMeshBasicMaterial has the best performing material for a HoloMesh. The HoloLens HoloMeshBasicMaterial defines how the surface of a geometry is. It describes the geometry appearance such as its color or its texture (i.e. skin). By default, the "Color" of the material is set to white, and you can change it to any color you want. Represents the color of the material. Render the mesh geometry as wireframe. The HoloLens HoloMeshStandardMaterial, similar to a HoloMeshBasicMaterial defines how the surface of a geometry is. It describes the geometry appearance such as its color or its texture (i.e. skin). By default, the "Color" of the material is set to white, and you can change it to any color you want. HoloMeshStandardMaterial give a more realistic looking material for Holograms than all the other material, but it is more expensive in terms of computaional resources. Holograms are 3D digital objects that appear in the world around you as if they are real objects. Holograms respond to your interaction (gaze, gestures...) and to the physical world surfaces around you. For the most part, a HolographicMesh can be used to create different types of Holograms, and to group several Holograms together you use a HoloGroup. For specific types of geometries, such as line or a point, you have to use a different type of a mesh (HoloLineMesh or HoloPointMesh). A HolographicMesh is an object that takes a geometry and applies a material to it. So it is the combination of a geometry and material into one 3D object or a hologram that can then be added to a HoloSpace. The geometry is the structure or the shape of a hologram. A material defines how the appearance of a geometry. A boolean defining whether the HoloMesh is a hotspot or not. A hotspot is a mesh that accepts the user's interactions. Default is set to false. Setting the hotspot property to true has performance consequences, so only set it to true when necessary. Returns an array of the HoloMesh's children. A unique HoloMesh numeric identifier (readonly). Represent the HoloMesh's local position. Represent the HoloMesh's local rotation (in radians). Represent the HoloMesh's local scale. Returns the type of this object. Example: HoloMesh. An object that could be used by developers to store their own custom data about the HoloMesh. Note:It should not hold references to functions. if set to false the HoloMesh would not get rendered. The callbackfunction that is called onGazeEnter event: when the user gaze on the HoloMesh. The callbackfunction that is called onGazeExit event: when the user gaze does not intersect with the HoloMesh anymore. The callbackfunction that is called on a tap event: a combination of user gaze on the HoloMesh and hand presses and releases gesture. Other ways for the onTap function to be called is by pressing the button on a HoloLens Clicker or by speaking the voice command "Select". The callbackfunction that is called on a hold event: a combination of user gaze on the HoloMesh and the user hand press and moving gesture. The callbackfunction will be called with 2 positions vectors, the previous position and the current one. The callbackfunction that is called on a release event: a combination of user gaze on the HoloMesh and hand releases gesture. Other ways for the onRelease function to be called is if the user gestures get lost from the frame of view. textureAnimWidth — Float. The frame width, by default the frame width is considered equale to the image height. repeat — Boolean. If true the image will be repeated across the HoloMesh. Default is false. stretch — Boolean. If true the image will be stretched across the HoloMesh. Default is true. textureRepeatX — Number. How many times the texture is repeated across the X axis. Default is 1.
textureRepeatY — Number. How many times the texture is repeated across the Y axis. Default is 1. Note: the image should be sized to a power of 2 (ie 256, 512, 1024). fontSize — number. The tooltip size. Default is 0.015 meters. color — color. The tooltip text color. Default is 0xFFFFFF. bgColor — color. The tooltip backgrounf color. Default is 0x048ad7. showLine — Boolean. If set to true the tooltip will have a dotted line drawn from the ToolTip down to the HoloMesh. Default is false. rounded — Boolean. If true, the tooltip will be rounded. Default is set to true. gap — number. The gap in meteres between the HoloMesh and the tooltip. Default is 0.035.
yPos — number. The tooltip size. Default is 0.
animateMove method provides an animated move that interpolate between the current position and the new location. Location is a 3D vertix. It also takes as input an animation duration, an animation pause before start, and a callback function when the animation is done. In This example the holomesh will move to Z 0.6 (an increment on its current position), the animation will then pause for 250 milliseconds, and will last for 750 milliseconds. In This example the holomesh will move to Z 0.1 (an incrememnt on its current position), the animation will then pause for 250 milliseconds, and will last for 750 milliseconds. animateRotate is similar to animateMove, and it provides an animated rotation. animateFade is similar to animateMove, and it provides an animated opacity change. time — number. The time where you start the movement in a curve, a numbe between 0 and 1. Default is 0.
interval — number. The number in miliseconds for each movement step, the lower the number the faster the movement. Default is 10.
loop — boolean. If true, the movement will repeat otherwise it wll run onc. Default is true. Calling the Show methods will enable the renderer to render the HoloMesh on its next update. Calling the hide methods will hide the HoloMesh from the HoloSpace. Calling the dispose methods will deallocate the HoloMesh from memory. Add a child object to the HoloMesh. Returns a clone of the HoloMesh. Searches through the HoloMesh's children and returns the object with a matching id. Searches through the HoloMesh's children and returns the first object with a matching name. Searches through the HoloMesh's children and returns the first object with a matching propertyname. Returns a vector representing the position of the HoloMesh in the world space. Returns a vector representing the rotation of the HoloMesh in the world space. Returns a vector representing the scaling factors applied to the HoloMesh in the world space. Returns a vector representing the direction of HoloMesh's positive z-axis in the world space. Removes a child object from the HoloMesh. Convert the HoloMesh to JSON format. rotate — Boolean. True will enable the vertical and horizontal rotation of a mesh. Default is true. rotateVertical — Boolean. True will enable the vertical rotation of a mesh. Default is true. rotateHorizontal — Boolean. 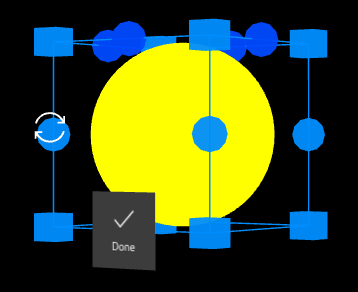 True will enable the horizontal rotation of the mesh. Default is true. scale — Boolean. True will enable the scaling of the mesh. Default is true. move — Boolean. True will enable the moving of the mesh. Default is true. done — Boolean. True will enable a done button to be shown with the adjust controls, false will not show the done button. Default is true. run() — a method to start running the animation. pause() — a method to pause the animation. stop() — a method to stop the playing animation. reset() — a method to reset the playing animation. isRunning() — a method that returns true if the action is running. isEnabled() — a method that returns true for the current clip. setEffectiveTimeScale(number) — a method to set the timescale of the clip: 0 will pause the animation, a postive number will play the animation and anegative will paly it backward. fadeIn(time) — a method to fade in the playing animation by a time in seconds. fadeOut(time) — a method to fade in the playing animation by a time in seconds. crossFadeFrom(clip, time, warp) — a method to fade in a clip and fade out another clip within a time (wrap is a boolean if set to true will wrap the animation from one to the other). crossFadeTo(clip, time, warp) — a method to fade out a clip and fade out to another clip within a time (wrap is a boolean if set to true will wrap the animation from one to the other). startAt(time) — a method to start the animation at a given numeric time in seconds. Sometims a HoloMesh is outside of the user's field of view, or occlude by real world objects, and it is important to make it easier for the user to find that HoloMesh. You can use the addIndicator method which will shows in the form of a directional arror, or your own holomesh object, in order to alert the user to that important content and provide guidance related to the user's position. The directional indicator will appear when the user is looking away from the HoloMesh. The arrow like direction indicator will point the user toward the HoloMesh, if it is away from the user's view and away to a specfic distance you can specify. object — This own HoloMesh object that you can use as a direction indicatory (optional). Removes the direction indicator that was already set on that HoloMesh (see addIndicator for more information). You can use the setImage method to set an image to the HoloMesh. A ToolTip saying hello over a yellow box holomesh. Notice the cursor, the tooltip only shows when the user is looking at the holomesh. ShowAdjust Box on a yellow sphere holomesh. Notice the holocursor showing a rotation icon, and the done button to commit the adjustment when the user click on the done button. A HoloGroup is a component that holds a group of HoloMeshes. Returns an array of the HoloGroup's children. A unique HoloGroup numeric identifier (readonly). Represent the HoloGroup's local position. Represent the HoloGroup's local rotation (in radians). Represent the HoloGroup's local scale. Returns the type of this object. Example: Group. An object that could be used by developers to store their own custom data about the HoloGroup. if set to false the HoloGroup would not get rendered. The callbackfunction that is called on a tap event: a combination of user gaze on any child mesh of the HoloGroupand hand presses and releases gesture. Other ways for the onTap function to be called is by pressing the button on a HoloLens Clicker or by speaking the voice command "Select". the tap even will be called for the HoloGroup and the HoloMesh that was tapped (only one level up and down). Add a child object to the HoloGroup. Returns a clone of the HoloGroup. Searches through the HoloGroup's children and returns the object with a matching id. Searches through the HoloGroup's children and returns the first object with a matching name. Searches through the HoloGroup's children and returns the first object with a matching propertyname. Returns a vector representing the position of the HoloGroup in the world space. Returns a vector representing the rotation of the HoloGroup in the world space. Returns a vector representing the scaling factors applied to the HoloGroup in the world space. Returns a vector representing the direction of HoloGroup's positive z-axis in the world space. Removes a child object from the HoloGroup. Convert the HoloGroup to JSON format. Calling the Show methods will enable the renderer to render the HoloGroup on its next update. Calling the hide methods will hide the HoloGroup from the HoloSpace. rotate — Boolean. True will enable the vertical and horizontal rotation of a group. Default is true. rotateVertical — Boolean. True will enable the vertical rotation of a group. Default is true. rotateHorizontal — Boolean. True will enable the horizontal rotation of the group. Default is true. scale — Boolean. True will enable the scaling of the group. Default is true. move — Boolean. True will enable the moving of the group. Default is true. Once the hideAjdust method is called, the helper box shown in the showAdjust will be forces to be hidden. The user adjust changes will be commited. Calling the dispose methods will deallocate the HoloGroup from memory. The HoloPoints is a class that represents 3d points, it takes as input a geometry of vertices and apply a points material to them. Use this class if you want to add points into your 3d space. a geometry containing the vertices. To define a geometry of vertices use the class HoloGeometry() to define the gometry and HoloVector3() to define the vertices. A points material that could applied to points. color — Color. the material color. Default is 0xffffff or white. size — Number. the default point size. Default is 1. The HoloLine is a class that represents a line, it takes as input a geometry of vertices and apply a line material to them. Use this class if you want to add a lines into your 3d space. A line material that could applied to points. dashSize — Number. the dash size. Default is 3.
gapSize — Number. the gap size. Default is 1. The HoloLoaders is a class loads objects from file and return a mesh, a geometry, or a group. Load a 3d model from a file. filename — Color. the material color. Default is 0xffffff or white. callback(model) — Function. the function that will be called back when the model is loaded, with the actual model. parameters — List of optional parameters to apply. This include: material to apply a specific material to your model, mtlPath to apply a material to the model loaded from a file, hotspot() a boolean that if set to true will enable the interaction with the model, or group a boolean to whether to return the model as a group or merge it as one mesh. Note that mtlPath requires a group so you must set the parameters group to true for the material to be applied. Load a geometry from a file. callback(geometry) — Function. the function that will be called back when the geometry is loaded, with the actual geometry. The retuned geometry object return is a holder of multiple types of geometry such as meshGeometry, lineGeometry, or pointGeometry. To access a meshGeometry for example you must call the geometry.meshGeometry object. parameters — List of optional parameters to apply. This include: array boolean parameter if set to true will return an array of geometries instead of one geometry. The HoloDirectionalLight emits light in a specific direction similar to a light from the sun. Represents the color of the light, default is 0xffffff or white. A numeric value representing the intensity of the light, default is 1. The HoloPointLight emits light from a specific point, similar to a light from a bulb. The distance the light can travel, default is 1. The HoloSpotLight emits light from a specific point as a cone shape. The angle of the cone that light will form. The following section go over the holobuild library User Interface components. These include components ranging from navigation Holograms, such as a HoloButton or a HoloToolbar, to input controls such as a HoloStepper. The HoloLabel represents a label component used to display text in a HoloSpace. The HoloLabel is also useful when you want to show a text with a language that is not supported by the HoloLens, such as Chinese, Arabic, or Russian letters. The HoloLabel extends the HoloGroup class, it inherits all the HoloGroup's properties and methods. The label name. It should be a unique name in your application. text — String. One line text. text — Array of Strings. Multi-line text. fontSize — Float. Size of the text (text height). Default is 0.015 meters..
color — Color. The text color. Default is set to 0x101010. width — Float. The label width. Default is set to 0.08.
height — Float. The label height. Default is set to 0.
padding — Float. The text padding to its background. Default is 0.02.
bgColor — Color. The text background color. Default is transparent. rounded — Boolean. If true, the HoloLabel will be rounded. Default is set to false. hotspot — Boolean. If true, the cursor will intersect with the HoloLabel. Default is set to true. align — String. ('left', 'right', 'center'). the label text will be aligned accordingly. Default is set to center. The width parameter needs to be filled for the left or right alignemnt to work. Return the HoloLabel text as a string. Return the HoloLabel current height. 'Hello' will be one line and 'World' will be on the next line. The HoloButton represents an image based button component in a HoloSpace. Since the HoloButton extends the HoloMesh class, it inherits all the HoloMesh's properties and methods. The HoloButton Name. It should be a unique name in your application. The HoloButton depth, 0 for a plane geometry and > 0 for a box geometry. bgColor — String Hex Color. Background button color. Default is 0x3c3c3c. bgTransparent — Boolean. If set to true, the button will have a transparent background. Default is false. borderColor — String Hex Color. Border color that will be shown when the button is clicked. borderThickness — Float. Border thickness in pixels that will be shown when the button is clicked. Default is 3 pixles. hoverState — Boolean. Whether a hover effect is available or not. Default is true. hoverBorderColor — String Hex Color. Hover border color that will be shown when the button is hovered. hoverBorderThickness — Float. Hover border thickness in pixels that will be shown when the button is hovered. Default is 3 pixles. clickState — Boolean. Whether a click effect is available or not. Default is true. clickBorderColor — String Hex Color. Click border color that will be shown when the button is clicked. clickBorderThickness — Float. Click border thickness in pixels that will be shown when the button is clicked. Default is 4 pixles. image — String. Image filename that will show as the button background. text The button text. Default is null. fontSize The button text font size. Default is 0.015 meters. fontColor The button text font color. Default is 0xFFFFFF. fontWeight The button text font weight. Default is 'normal'. textAnchor: The button text position: HoloBuild.textAnchor.CENTER, .TOPLEFT, .TOPCENTER, .TOPRIGHT, .BOTTOMLEFT, .BOTTOMCENTER, .BOTTOMRIGHT . Default is .CENTER. soundMute — Boolean. if set to true will disable the spatial sound that will be played when a user tap on the button. sound — String. the filename of the sound file that will be played when a user tap on the button. This method will either disable the button or enable it. Set or Change the HoloButton text text value. Return the HoloButton text. text — String. Button text. HoloSwitch is a switch like component that is very similar to the button but that keeps its on state or image once the user tap on it and returns to its off state once the user tap on it again. Since the HoloSwitch extends the HoloMesh class, it inherits all the HoloMesh's properties and methods. The HoloSwitch Name. It should be a unique name in your application. The HoloSwitch depth, 0 for a plane geometry and > 0 for a box geometry. This method will toggle the switch status: it will visually turn the switch on if it was off or the other way around. A HoloStepper is a component that holds two buttons ( + and - ) that increment or decrement a numeric label value. The stepper component name. It should be a unique name in your application. fontSize — Float. Size of the text (text height). Default is 0.02 meters. color — The text color. Default is set to 0x101010. bgColor — The text background color. Default is 0xFFFFFF. min — Float. The lowest possible numeric value for the HoloStepper. Default is 0.
max — Float. The highest possible numeric value for the HoloStepper. Default is 100.
increment — Float. The increment, or step, value for the HoloStepper. Default is 1. A HoloToolbar is a component that holds buttons and that is usually used as an application menu. vertical An optional Boolean value that if enabled will draw the HoloToolbar vertically. reverse An optional Boolean value that if enabled will draw the HoloToolbar in the reverse direction (from right to left). margin — Number. This number represent the margins between toolbar button in meters, the default is 0.005.
addButton will add a button to the toolbar with a specific name and a set of parameters: image — String. This is the image filename that will show on the button. addSwitch will add a switch to the toolbar with a specific name and a set of parameters: image — String. This is the image filename that will show on the switch. Add a child HoloToolBar to the main toolbar an link it to a specfic button or switch. If a use tap on the linked button or switch, the subtoolbar will be automatically toggled. toggleMode is an enumerator that specificy the position of the sub toolbar: toggleMode elements include the following : toggleMode.LEFT, toggleMode.RIGHT, toggleMode.TOP, toggleMode.BOTTOM. Resets the toolbar by turning off any switches and closing any subtoolbar. Reverse the direction of the toolbar from LTR to RTL or the otherway around. Hide a HoloToolbar child by referencing the child name. This function is usefull if you want to temporary hide one of the toolbar children without messing the button spacing. You can use the showChild function to show back the child control. Show a HoloToolbar hidden child by referencing the child name. A HoloPanel is a panel component that can hold other components such as HoloLabel, a HoloButton, or a HoloSwitch. Since the HoloPanel extends the HoloMesh class, it inherits all the HoloMesh's properties and methods. The HoloPanel name. It should be a unique name in your application. bgColor The HoloPanel background color. Default is 0x3c3c3c. close A Boolean value that if set to true will show an X like button on top of the HoloPanel that will close the panel once the user tap on it. Add a child object to the panel. pos is the position of the child in respect to the panel. The callbackfunction that is called when the panel close button tap event..
Set or Change the HoloPanel height to height value. A HoloDialog is a dialog component that can be used as either message notification to the user or when needing a confirmation from the user. Since the HoloPanel extends the HoloGroup class, it inherits all the HoloGroup's properties and methods. The HoloDialog name. It should be a unique name in your application. mode — enumerator. The mode of the dialog: (dialogMode.DEFAULT, dialogMode.CONFIRM, or dialogMode.INFO). dialogMode.DEFAULT for a notification like dialog with a close button; dialogMode.CONFIRM for a confirmation like dialog with a YES and NO buttons; HB.Enum.dialogMode.INFO for an information only dialog without any buttons. Default is dialogMode.DEFAULT. canvas — boolean. whether the HoloDialog title label is of type canvas or not. Default is false. bgColor — color. The HoloDialog background color. Default is 0x070707. titleColor — color. The HoloDialog title color. Default is 0xFFFFFF. titleBgColor — color. The HoloDialog title background color. Default is 0x1C1C1C. bodyColor — color. The HoloDialog body color. Default is 0xFFFFFF. bodyBgColor — color. The HoloDialog body backgrounf color. Default is 0x070707. titleAlign — String. ('left', 'right', 'center'). the HoloDialog title alignment. Default is left. bodyAlign — String. ('left', 'right', 'center'). The HoloDialog body alignment. Default is left. The callbackfunction is the call back function that will be called when the user perform an action on the HoloDialog. If the dialog mode is dialgMode.CONFIRM, the callback function will be called with one boolean argument. The boolean value will be true if the YES button is tapped, or false otherwsie. Set or Change the HoloDialog text text value. A HoloCheckBox is a checkbox component that allows the user to choose between two options. Since the HoloCheckBox extends the HoloButton class, it inherits most of the HoloButton's properties and methods. The HoloCheckBox Name. It should be a unique name in your application. A number denoting the HoloCheckBox width and height, it is one number since the checkbox has a square form. The HoloCheckBox depth, 0 for a plane geometry and > 0 for a box geometry. bgTransparent — Boolean. If set to true, the checkbox will have a transparent background. Default is false. checked — Boolean. if set to true will have an X on the checkbox and its sstatus to checked. This property will return a boolean representing the checkbox staus, true for checked and false for not checked. This method will either disable the button or enable it. If the button is disabled, it cannot take any user interaction. The HoloText3D represents a component used to display 3D text in a HoloSpace. The HoloText3D is also useful when you want to show a text with depth. The HoloText3D extends the HoloMesh class, it inherits all the HoloMesh's properties and methods. The HoloText3D component name. It should be a unique name in your application. fontSize — Float. Size of the text (text height). Default is 0.03 meters..
hotspot — Boolean. If true, the cursor will intersect with the HoloText3D. Default is set to true. align — String. ('left', 'right', 'center'). the label text will be aligned accordingly. Default is set to center. The width parameter needs to be filled for the left or right alignment to work. Return the HoloText3D text as a string. 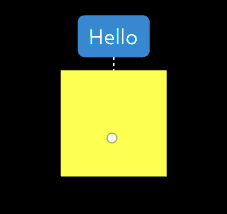 The HoloTextBox represents a textbox component that allows users to enter text as an input in HoloSpace. Once a user tap on the textbox, a keyboard will be displayed for the user to enter the text. The HoloTextBox extends the HoloGroup class, it inherits all the HoloGroup's properties and methods. The textbox name. It should be a unique name in your application. width — Float. The textbox width. Default is set to 0.1.
height — Float. The textbox height. Default is set to 0.025.
hotspot — Boolean. If true, the cursor will intersect with the HoloTextBox. Default is set to true. border — Boolean. If true, the HoloTextBox will have a border. Default is set to false. Return the HoloTextBox text entered by the user as string. This section details the various classes that deal with speech. HoloSpeechRecognition is the class that deals with continous speech recognition that will help you enabling your application to recognize voice commands. By default your application have the "select" command enabled: users can tap on a mesh by simply saying "select". This method will add a voice command that the speech recognition system will monitor for. Once the command is recognized with a high confidence, the callback function will be called. This method will update the callback function of an already defined voice command. This method will update how confident the system should before calling the callback function. Once the user says 'start' a red holomesh will be added to the scene. HoloSpatialSound is the class that deals with simulating placing a sound in 3 dimensional space. You simply load a sound file (supported audio type: ogg), attach it to the object that you want the sound to come from, and run the HoloSpatialSound play method to play the sound. The spatial sound takes into consideration the direction and distance of the object to gives the impression that the sound is coming from that object. String - The sound file name that you want to load. Number - set the number of seconds that you want to start playing the audio from. Default is 0.
play the sound file as soon as it becomes loaded. This method is useful for a large audio file that you do not know how much time it will take to be load to the buffer. isloop - Boolean : if set to true the sound file will keep on playing. rate - Number : a number representing the speed of the sound. volume - Number : a number that reflects the playing sound volume. Returns a boolean denoting if the audio is currently playing or not. This section details the various classes that deal with the real world around you. This includes, the mapping of the space arround you, anchoring holograms to your real space, and more. The HoloSpatialMap class provides with a detailed map of the real world surfaces around the hololens, the resulted surfaces are then returned to the developer to use in their application. First you must start a spatial map scan to collect the surfaces around the hololens, once done, the system will process these surfaces and return an array of planes for you to use. Start spatial mapping the space around you, a visual texture will be displayed to help guide the user with the spatial mapping. Stop an already started spatial map scan. callback - Function(geometries) : an optional call back function will be called with the resulted geometries for the developer processing. Note that the resulted geometries are the raw data and it is not recommended to render them onto the scene as is. a functions that returns an array of planes resulted from a spatial mapp. If the user has not performed a spatial map, the plan array will be empty. The system automatically create a stage frame of reference when the user first start the application to provide you with one single coordniate system to render your holograms. This will make your hologram look stable and not drift around. However, if you need to maintain the position of a hologram through multiple appliction sessions, or you the user might move beyound 5 meters away from the hologram, it would be better to use a spatial anchor to keep the hologram position stable. HoloSpatialAnchor is the manager that handles spatial positions relative to real world positions (or anchors) and maintain them even when the application is restarted and over long distances. You simply setAnchor on a mesh to save its position relative to the real world on the Hololens and give that anchor a name, then you can loadAnchor saved using its name and set it on that holomesh. load a saved anchor position, with the name anchorname, and place an object on that position. holomesh - Object : the hologram whose anchor is to be saved. anchorname - String : the anchor's name. It should be a unique name in your application. callback(success) - Function : a callback function that will be called when load anchor completes it task, success is a boolean that will be set to true if the anchor is loaded successfully. Save an anchor, with the name anchorname, and get the anchor position and rotation from the object. holomesh - Number : a number representing the speed of the sound. anchorname - String : the anchor's name. It should be a unique name in your application. callback(success) - Function : a callback function that will be called when set anchor completes its task, success is a boolean that will be set to true if the anchor is set successfully. delete a saved anchor, with the name anchorname. anchorname - String : the anchor's name. callback(success) - Function : a callback function that will be called when delet anchor completes its task, success is a boolean that will be set to true if the anchor is deleted successfully. The settings section details the various library classes that could be set by the developer. HoloSettings contains the default settings and preference of the HoloBuild Library. This method will either enable or disable showing the console log information on your Hololens. The information will be show next the buildWagon version number. showDebug Boolean- If true the debug information will be displayed. Default is false.